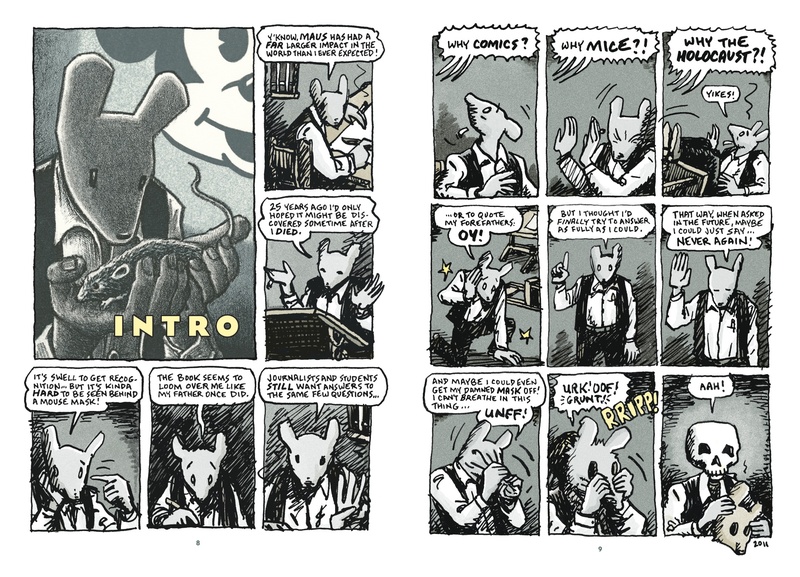 “In the pages of MetaMaus: A Look Inside A Modern Classic, Maus (going onsale October 4), Art Spiegelman re-enters the Pulitzer prize–winning Maus, the modern classic that has altered how we see literature, comics, and the Holocaust ever since it was first published 25 years ago. In MetaMaus, Spiegelman probes the questions that Maus most often evokes—Why the Holocaust? Why mice? Why comics?—and gives us a new and essential work about the creative process. You can find out more about MetaMaus at the Random House website. This entry was posted in Art, Books, Freedom of Speech, History, USA, Writing and tagged Art Spiegelman, Comics, Complete Maus, Graphic novel, Holocaust, Maus, Pantheon Books, Pulitzer Prize, Random House, Shoah. Bookmark the permalink.